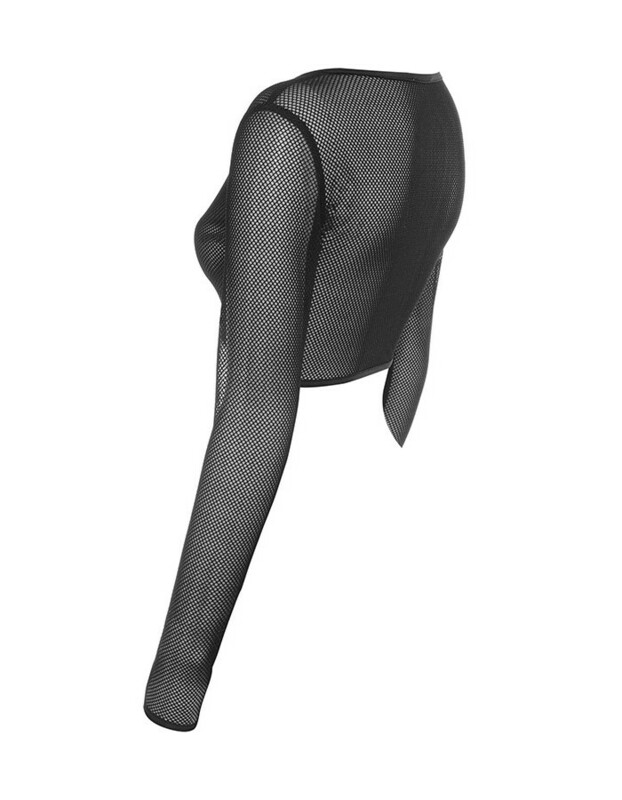 Fierce yet feminine, we continue our affair with fishnet. 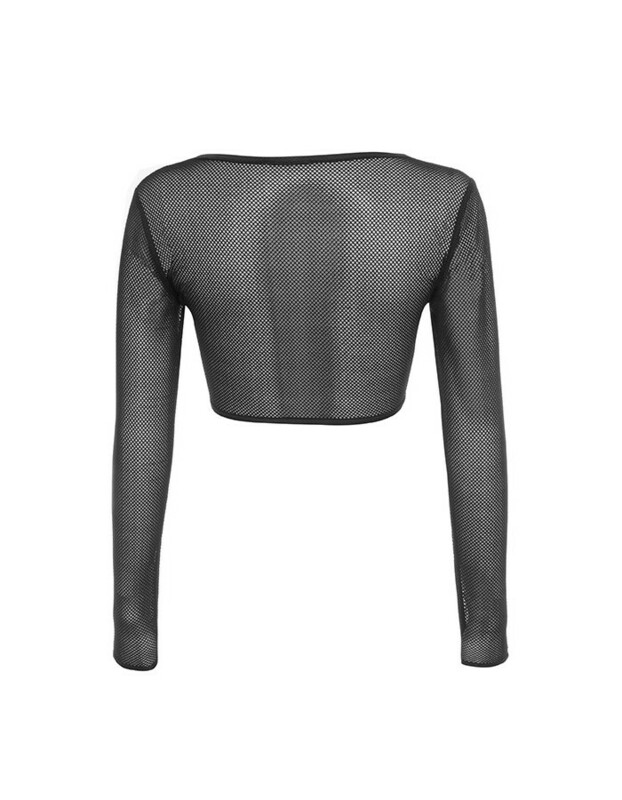 Made from a fine stretch fishnet, 'Tender' is simple yet versatile with a cropped cut, long sleeves and round neck. 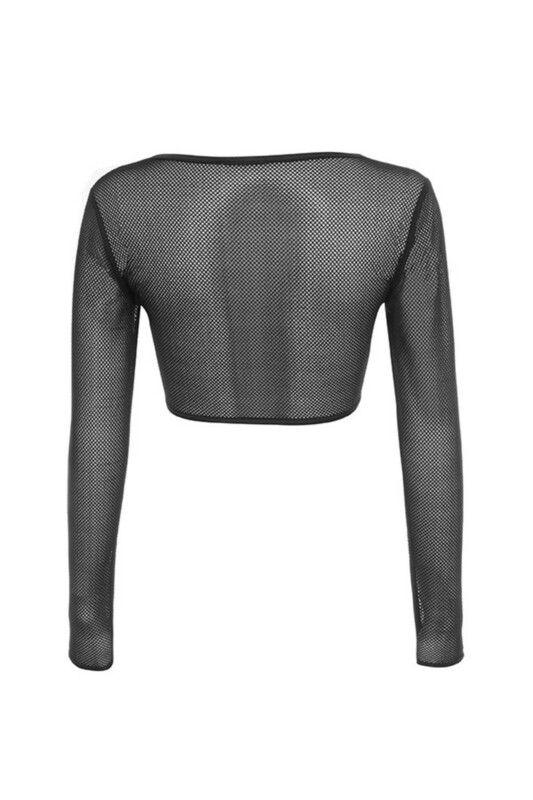 Team yours with sports trousers and heels for a sports luxe vibe. 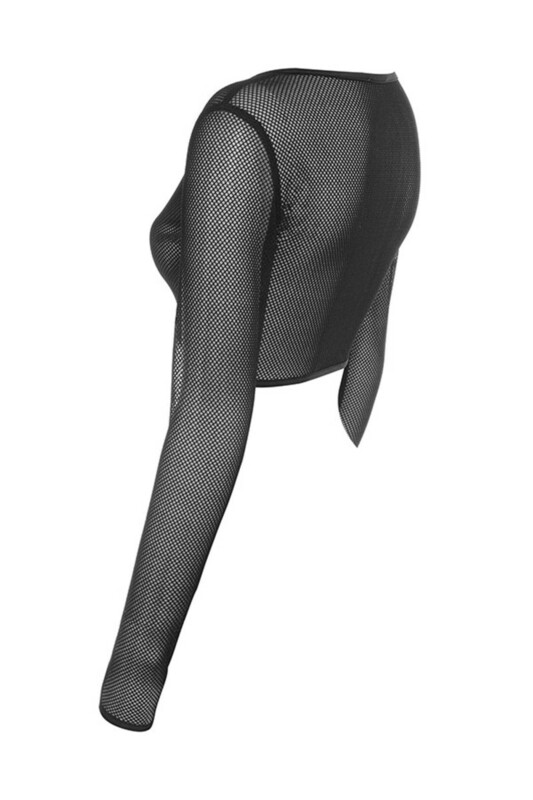 Made from stretch fishnet fabric.